Wherever you are on the planet, there is almost definitely a direct distributor of Autobase in you most vicinity who will provide whatever services you need. Otherwise, Autobase will sincerely invite you to join it. Autobase has gathered a good many of professional engineers of car wash systems who can provide customers in any part of the world with the most convenient and reliable installation and debugging services of automatic wash equipments and the optimal training services to their employees. Not only can you enjoy the arduous working style of each employee of Autobase, but also you can obtain a valuable opportunity to lean how to operate the equipments with the help of them. As a professional manufacturer of car wash systems, Autobase provides a variety of vehicle wash equipments that can wash many types of vehicles such as cars, coaches, buses, trucks, tank trucks, trains, rail cars, subway carriages, military vehicles, garbage trucks, etc. The company locates in the world famous city of Beijing, an ancient with rich culture. Autobase owns a long industrial history and has built up a rich industrial culture. Consequently it can provide its customers from all over the world with various products and services. 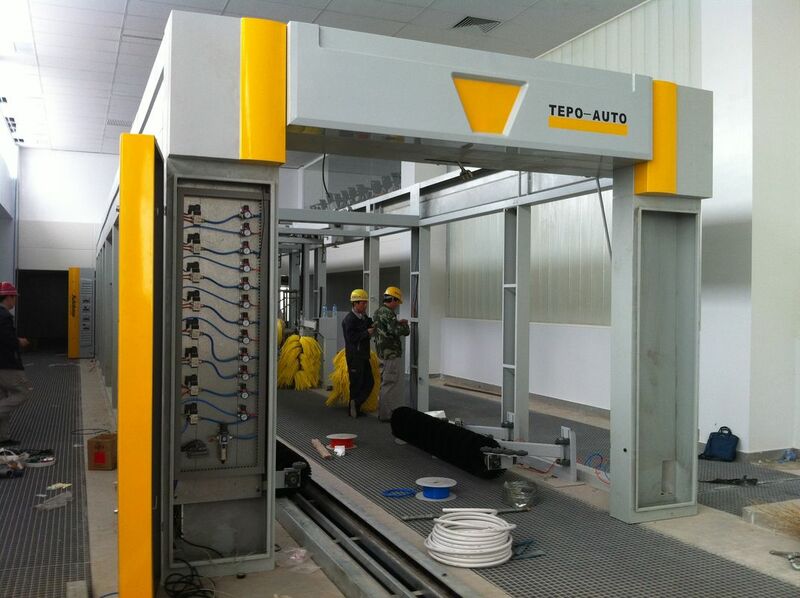 Its main products include gallows type car wash system, tunnel type car wash system, servo car wash system and sewage recycling equipments. Autobase holds proprietary intellectual property rights for its products and many patent techniques and its products are being exported to 53 countries with a yearly production increase of 17%.All these result from the facts that Autobase puts much emphasis on the safety protection of its automatic car wash equipments, performs stabilized equipment design processes, provides optimal customer services and fully exerts its superiority of prices over other international companies of this industry. It is also the original impetus that realizes the rapid development of the equipments manufactured by Autobase. As the forerunner of car wash equipments, Autobase manufactures various types of automatic vehicle wash equipments and provides the most technically advanced vehicle wash equipments, which wins for Autobase the largest number of customers including automobile companies, gas stations, auto-services stations, military institutions, railway and subway bureaus, etc. 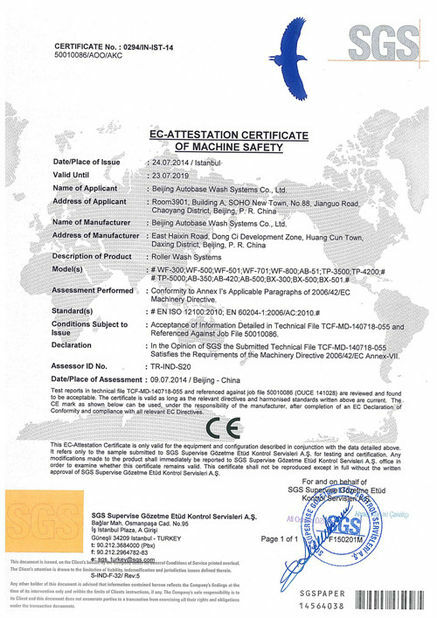 Additionally, Autobase makes much contribution to the environmental protection enterprise and manufactures advanced sewage recycling equipments which apply well in hospitals, hotels, schools, factories, sewage treating plants, professional vehicle wash stations, etc. Through years of elaborate design, manufacture, management and unceasing endeavors, Autobase has become a principle manufacturer of auto-wash systems around the world. Autobase launches new products towards all counties each year to meet the demands of different customers. From its initial commence to launch automatic vehicle wash equipments in 1989, Autobase has always been exerting its efforts to manufacture exquisite and specialized vehicle wash equipments. 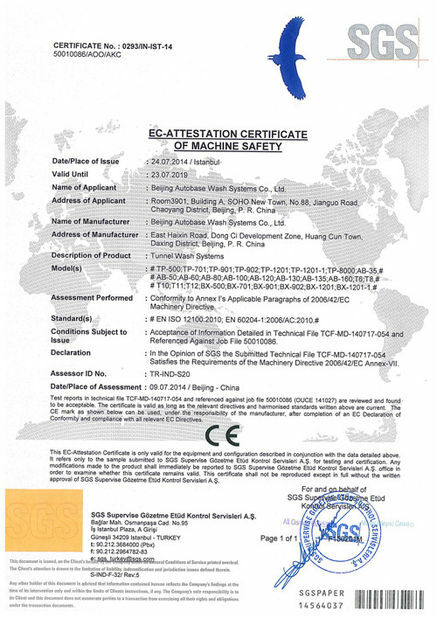 All these strict requirements are based on its outstanding originality, advanced techniques, stable and reliable performance of its products, which has become the essential operating routines of Autobase. Offering perfect design concept is the key for the success of Autobase around the world. Autobase, a vehicle wash equipment brand with a long history of dozens of years and a prosperous future, is developing most rapidly among the automatic vehicle wash industry.